Research shows natural disasters are on the rise worldwide. The year 2018 was the fourth warmest year on record dating to 1880, according to NASA, and the cost of natural disasters totaled $155 billion, according to The Washington Post. 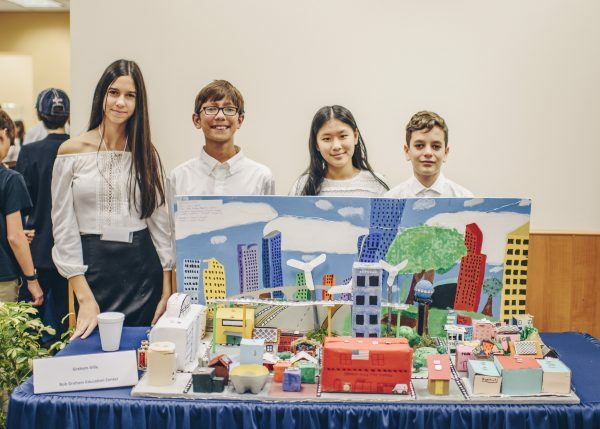 As part of the 2019 South Florida Future City Competition, hosted by the College of Engineering & Computing, groups of middle school students got to test their ideas on how cities can mitigate damage from these disasters. 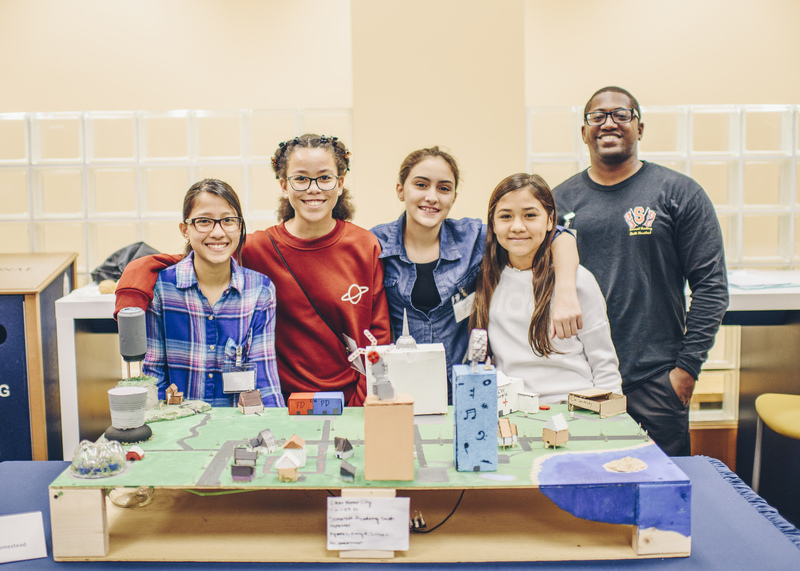 Working with the theme, “Powering our Future!”, seven teams of middle school students from Miami-Dade and Broward counties designed power grids for future cities that can withstand and quickly recover from natural disasters. A power grid also referred to as an electric grid, is an interconnected network that delivers electricity from producers to consumers. Participating students are required to complete five deliverables including a virtual city design, an essay, a scale model built entirely from recycled materials, a project plan and a presentation. This is the 17th year the college hosted the event, under the leadership of Osama Mohammed, associate dean of research and regional coordinator of the national competition. The Future City Competition is a nationwide engineering education program. The competition encourages students, at a young age, to think outside of the box by applying math and science concepts to real-world issues. The students also research and propose engineering solutions, develop project management skills and learn how to collaborate in a team environment. The Great Flood of 2100 wiped out Canberra, the capital of Australia. 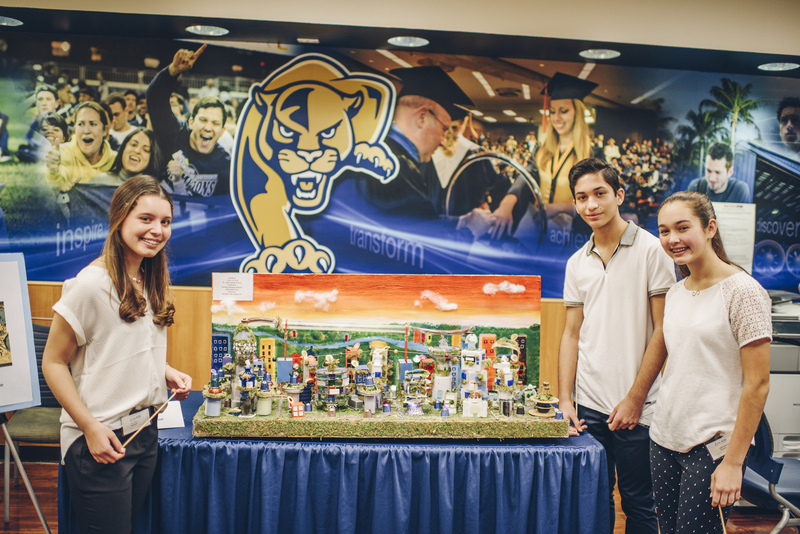 These students reinvented the city by designing a power building with coil that collects electromagnetic currents to power the city. Unused electricity is stored in power boxes on the sides of each building, lasting seven days. After four weeks of building and assembling their model, the Avant Garde Academy students were proud of their vibrant beach town, Cabana Beach. They made a water tower that collects ocean water and filters it, providing clean water to its residents. They also created underground safe houses in the event of a hurricane. “Our main goal was to make this city green to decrease pollution by using wind turbines and solar panels,” said Anna Zhuk. 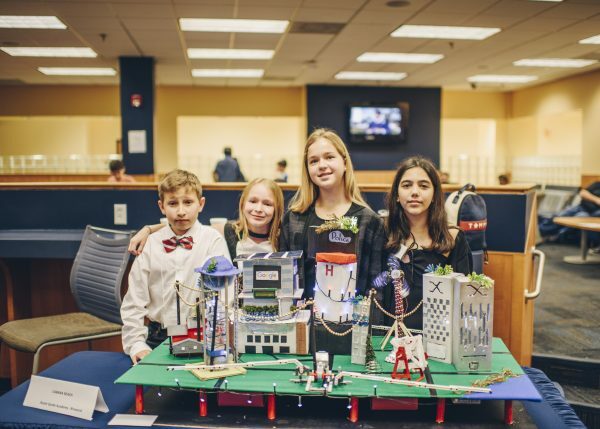 The all-girls team from Somerset Academy created a city with wind turbines, solar panels and three underground power grids that can store up to 50 years worth of energy. They also envisioned an evacuation system that has firefighters pick up residents and take them to underground shelters. A future version of New Orleans, Acadiana is a city resilient to hurricanes and earthquakes. Each household has solar panels and hydroponics (a method of growing plants without soil), which would give residents the option to grow their own produce. The city’s main industries are aerospace manufacturing, agriculture and tourism. “Our project has a lot of unique aspects including travel,” said Nicolas Rodriguez. “The main form of transit is a train that travels at supersonic speed. 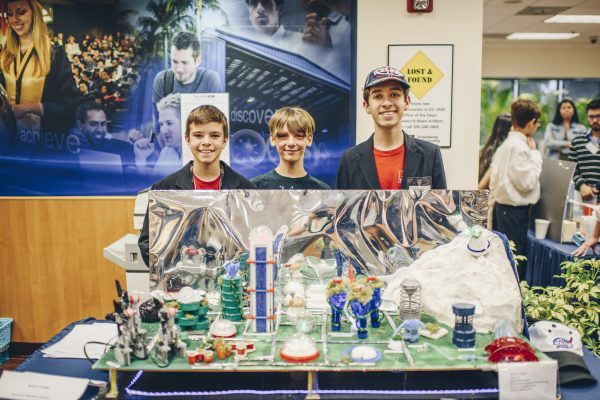 It works like a vacuum.” Acadiana was the winning team of the South Florida Future City Competition. 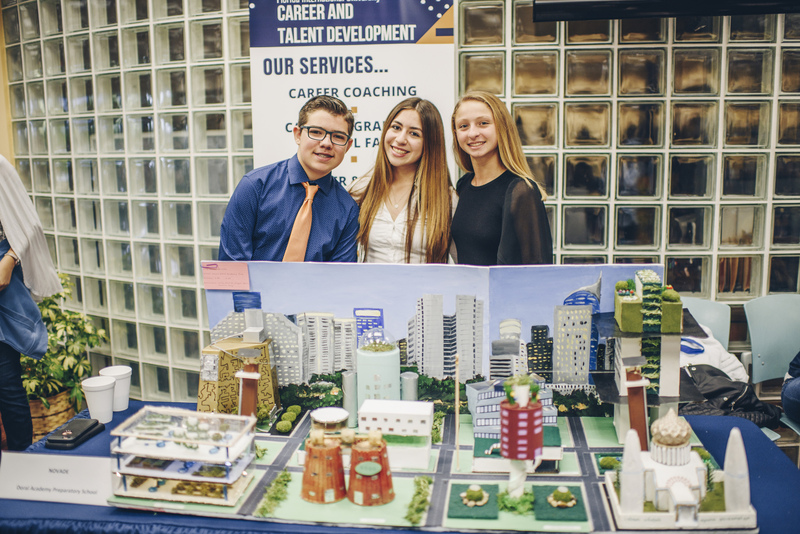 These seventh graders from Bob Graham Education Center created an environment-friendly city using all renewable resources like wind turbines and solar panels to produce energy. In Graham-Ville, every house and building has an extra storage area that contains electricity that can last one entire day. The government building also has a generator so in the event of a natural disaster, there should not be a power outage. “The idea that we can get creative and create a city that maybe one day we can physically recreate in the future is very exhilarating,” said Michelle Mendez. 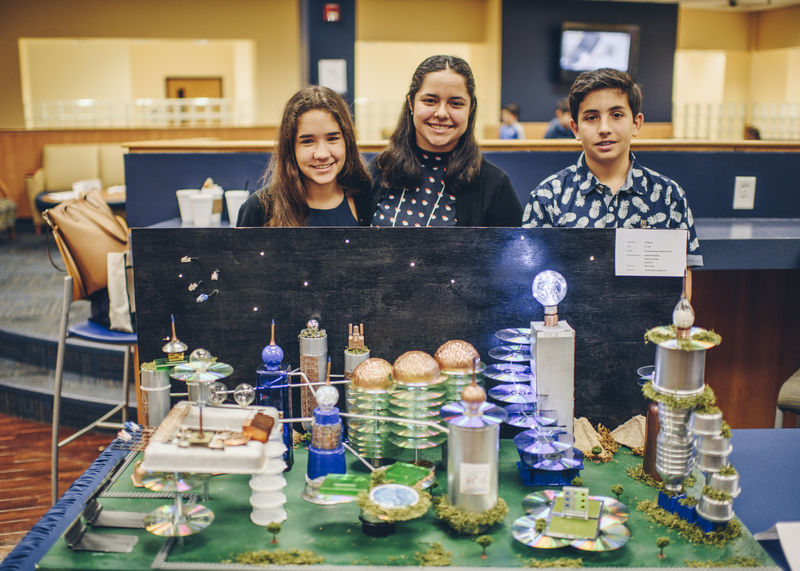 The middle school students from Doral Academy called their city, Novade, which means natural disaster in Latin. Novade includes a residential zone, purposely placed near the mosque and cultural center to promote cycling and walking. In most modern-day cities, less than 10 percent of the roads are pedestrian friendly. But in Reflections, 75 percent of the roads are reserved for pedestrians and electric bikes. Nautilus’ middle school created the city, located in Ireland above two tectonic plates – pieces of Earth’s crust and uppermost mantle. The students built an earthquake simulator for train its citizens in what to do in the event of an earthquake. Why isnt Humanity taking these kids ideas seriously now to prepare for our future?